Digital media has been on the rise for well over a decade now, and it does not show any signs of slowing down. It has never been easier to access information all over the world more than ever, especially when it comes to viewing digital videos. And for those who are looking to make a name for themselves, these people look to a website called YouTube, where they pretty much do almost just about anything they want to do. Furthermore, people are actually entertained by what these uploaders do no matter how ludicrous their content may be. Then there are those who have managed to acquire fame and amassed a legion of fans or frequent visitors to see what else they can do, or just to see the same antics all over again. These people are called YouTubers. YouTubers these days have become largely mainstream, and just about everyone is trying to become famous by making videos of themselves on YouTube. But not everyone can rise to stardom, get book deals, go on media tours, become a celebrity, get advertisement deals, and make money from simply posting videos on YouTube. Only those who have a lot of subscribers are entitled to some of those benefits, and only the extremely popular ones are able to get most— if not all—of those sweet deals that is the dream of every aspiring onine video stars. That being said, let’s have a look at some more of the most well-known ones from Asia—or those with Asian descent—who have managed to use YouTube as a platform for success and stardom. Yuka Kinoshita (pictured below) is a Japanese YouTuber who uploads videos of her eating plenty of food. She eats anywhere between 5,000 to 23,000 calorie meals. 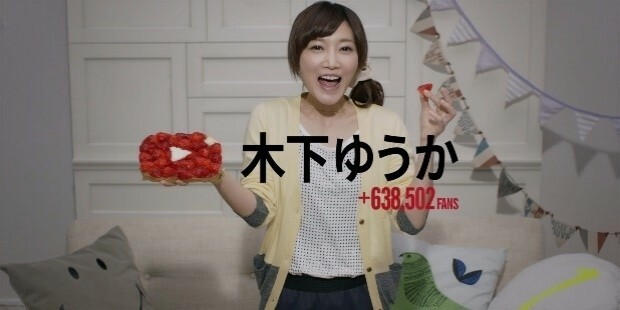 She started uploading videos five years after her debut in Japanese eating competitions. Kinoshita eats so much that Japanese people have dubbed her as the “gluttonous beautiful woman”. She has also appeared on Japanese TV where she goes around and looks for restaurants that offer abnormally large portions and eat everything they serve her. As of June 2017, she has more than 3.1 million people subscribing to her mouthwatering videos. On normal days, Kinoshita eats to 60% fullness and when she overeats, most of the food goes through her undigested. She also occasionally uploads her live eating sessions for her subscribers and fans. Kinoshita does share food with others, but still eats most of them by herself. If anything is for certain, it's that Kinoshita is definitely a woman with godlike metabolism, just like those girls in anime that eat a lot but never get fat. Here’s a link to her YouTube channel to see Kinoshita devour multiple dishes of food on camera. Erwan Heussaff (pictured below) is a famous YouTuber known for maintaining his health-centric food channel. Aside from his work on YouTube, he is also known for his popular series called The Fat Kid Inside, as well as his food recipes and tutorials on how to make them. 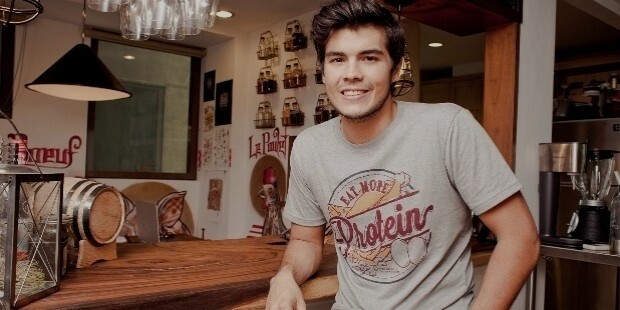 Due to his inactive lifestyle growing up, Heussaff weighed over 240 pounds and went on to lose more than 90 of those, leading to the eventual creation of his YouTube channel in June 2012. As of June 2017, he has approximately over 230,000 subscribers. Heussaff was born on January 29, 1987, and is of Filipino and French descent. His sister is Solenn Heussaff who is an actress, host, model, singer, fashion designer, and painter. As of this writing, Heussaff is engaged to Anne Curtis, who is a famous Filipino actress, singer, and model. Here’s a link to his YouTube channel to explore more of Erwan Heussaff's active videography. Cassey Ho (pictured below) is an American social media fitness entrepreneur who owns a website that sells fitness apparel, and also uploads videos to YouTube where she has become an internet personality and rising star throughout the world. Her primary goal is to promote a healthy lifestyle and body image. With her rise in the YouTube scene, Ho makes the most out of it by adding an e-commerce functionality in her channel. Ho's official YouTube channel features her line of pilates clothes and accessories, which gives her a healthy dose of income alongside the Google ads tagged on her videos. As of June 2017, she has accumulated more than 3.7 million subscribers. Ho was born in January 16, 1987 in the United States of America, and is of Chinese and Vietnamese origin. She grew up as a chubby girl, and that was when she was aware of her body. Growing up in a traditional Asian household, Ho's parents had the notion that she would become a doctor or lawyer. When she was sixteen, she told her father that she wanted to be a fashion designer, and he gave her his negative impressions. Nowadays, Ho has definitely come a long way from receiving parental disapproval of her career choice as her mother now helps with overseas shipments of her products, while her father helps with operations and logistics management. Here’s a link to her official YouTube page to know more about her fitness-oriented videos and apparel line. 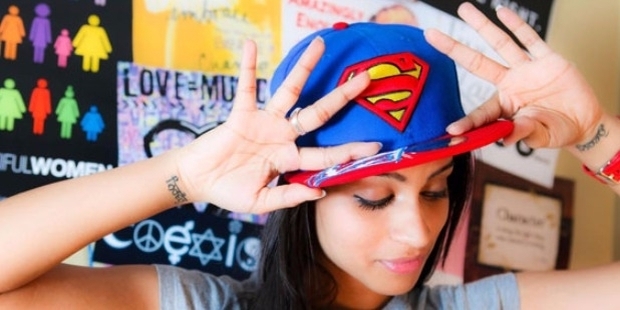 Lilly Singh (pictured below) is a Canadian YouTube personality, comedian, vlogger, writer, and actress who is also known for her official online handle IISuperwomanII. Singh’s videos are primarily comedic skits, which earned her the third ranking on Forbes list of the world’s highest paid YouTubers in 2016 and first on the 2017 Forbes Top Influencers List under the Entertainment category. She has since been doing other things that only added to her repertoire, like writing a bestseller book, lending her voice talents in the famous animated movie series Ice Age, releasing music videos, and a whole lot more. As of June 2017, Singh has more than 11.8 million subscribers. Singh was born in September 26, 1988 in Toronto, Canada and her parents are from Punjab, India. During her early years, she was a tomboy, but has since embraced her feminine side as she grew older. Singh has spent thousands of dollars on getting a good educational degree and eventually graduated with a Bachelor of Arts in Psychology. Despite her formal education, Singh has made a lucrative career of making YouTube videos. Here’s the link on where you can check her official YouTube channel. Claire Marshall (pictured below) is a makeup artist, as well as a beauty and lifestyle video blogger who publishes videos to her popular YouTube channel ohhaiclaire. She is also a fashion, music, and travel blogger. Marshall loves to do makeup ever since she was a young girl, with a beautiful dream to become a professional ballerina while being a doctor and snake charmer at the same time. After twelve years of doing makeup, she made it into the very industry itself and made the conscious decision to take her skills on YouTube. As of June 2017, she has over 900,000 frequent fans on the video hosting website. Marshall was born in February 22, 1984 in South Korea and is a Pisces. She has worked as a freelance makeup artist, and with her attention to detail and desire to perfect the look before any edit on the photos, she has become the go-to girl for the photographers and stylists in New York and Los Angeles. Here’s a link to see her broad range of stylish and informative videos. Samuel "Sam" Tsui (pictured below) is an American singer-songwriter and video producer who became a viral internet celebrity for covering songs by famous artists like Bruno Mars, Britney Spears, and many more. He is also known for his original songs, medleys, and mashups. As of June 2017, he has over 2.7 million subscribers from his YouTube channel. Tsui was born in May 2, 1989 and is of European descent from his mother with his father originating from Hong Kong. On April 15, 2016, Tsui posted a “coming out” video in which he announced he was gay, since he has been in a long-term relationship with fellow musician and collaborator Casey Breves. The two wed the day after his coming out announcement. Here’s a link to see his music videos and other media on his official YouTube page.